We are one of the leading manufacturer and supplier of kids wear, We are supplier wide range of quality products with efficient pricing. We the manufacturer of these 100% Cotton multicolor Jogger. Joggers are Comes with Perfect fit and skin friendly nature. We offering our Products in minimum affordable selling price to customer to get Regular business. 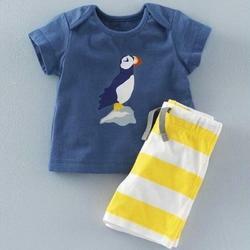 Being the market leader of this domain, we are engaged in manufacturing and supplying the best quality of Kid’s Wear. Valued for its trendy design and alluring appearance, the offered kid’s wear is ideal of general use. As a quality focused name, we assure that the quality of kid’s wear is never compromised at our end.